Stacy, a type-a planner with a penchant for schedules takes a spontaneous trip to the charming land of Belgravia at the encouragement of her sous chef and best friend, Kevin. 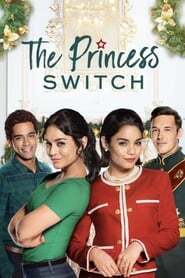 While preparing for the Royal Christmas Baking Contest Stacy finds herself faced with an identical stranger, and a strange request. Free-spirited but royally obligated, Duchess Margaret Delacourt wants nothing so much as one last chance to experience life as a “normal person” before she dutifully marries the crown Prince of Belgravia. Stacy can give her that wish. From questionable equestrian skills and the ture meaning of charity to slipping accents and snowball fights, this is an adventure that no holiday romantic should miss.